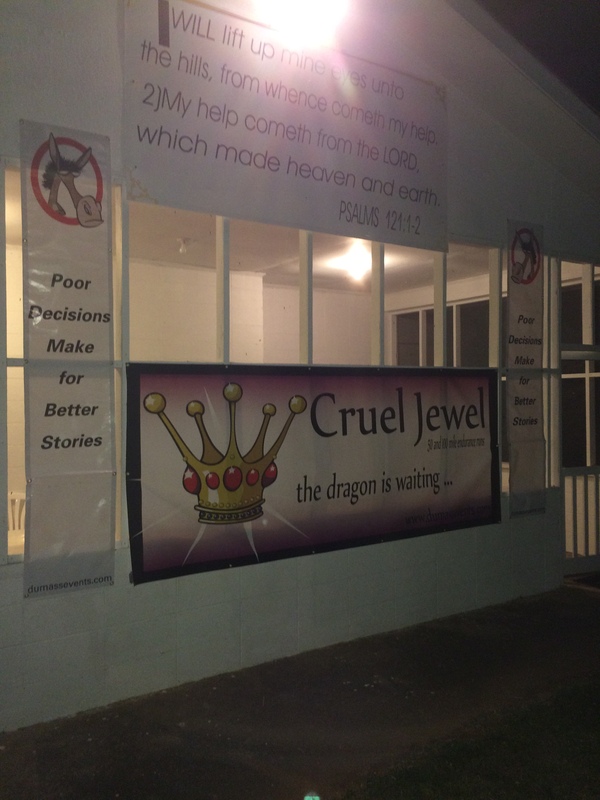 Cruel Jewel 2015 officially kicked off at noon Friday May 15. I tried to sleep in as much as possible that morning knowing that it would be Saturday evening before I saw a bed again, but that only lasted until about 7:30 Friday morning. My crew, Daniel, and I arrived at Vogal Park about 9:30 to pick up my number and wait around for the noon start time. Even at 9:30 am it was already feeling hot and the air was incredibly thick. Noon finally came and we were off to climb 33,000’+ in 108 miles. 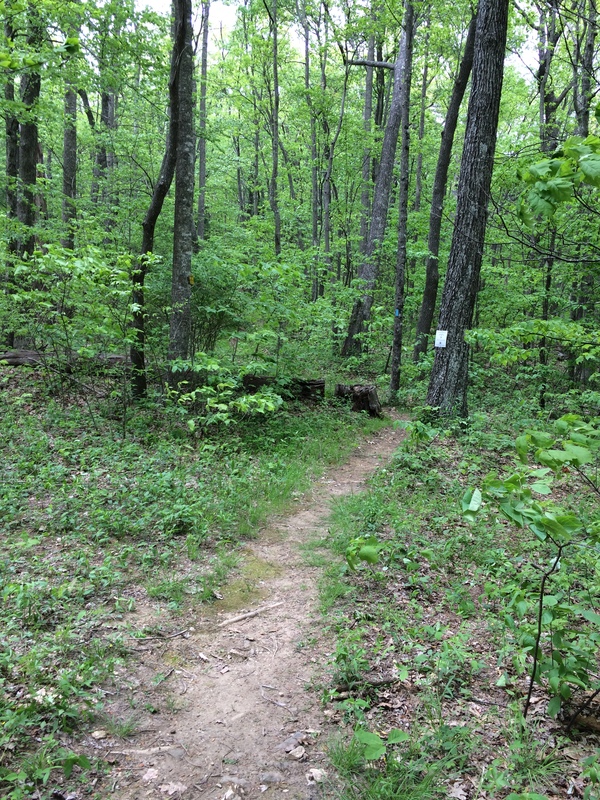 I had been informed by a friend who ran the 50 miler last year that the DRT (first 25 miles and last 25 miles) are where the hardest climbs are on course. On the way out the climbs didn’t actually seem that bad, although I do remember thinking on some of the descents how much “fun” they were going to be when they were ascents on the way home. 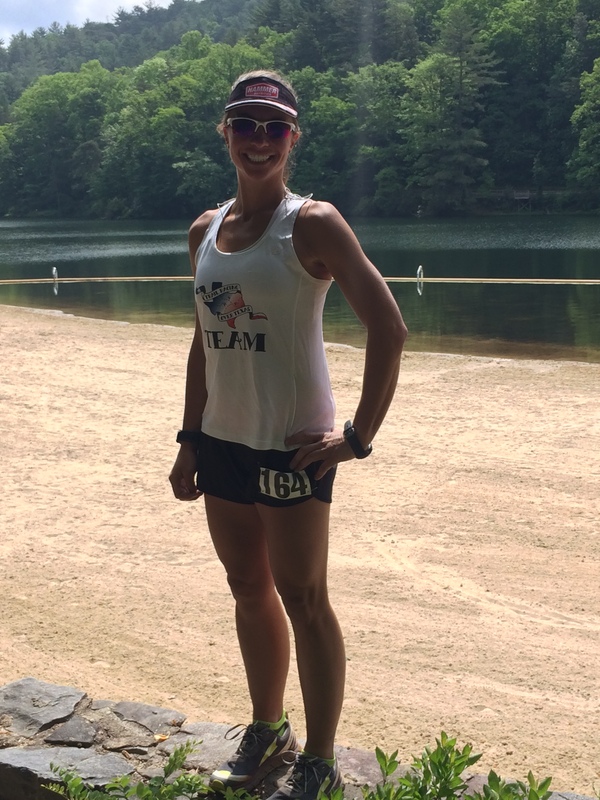 I didn’t realize at the time how much the stifling heat and humidity were going to affect me, but as I came into mile 20 aid station and met my crew it was becoming very obvious. 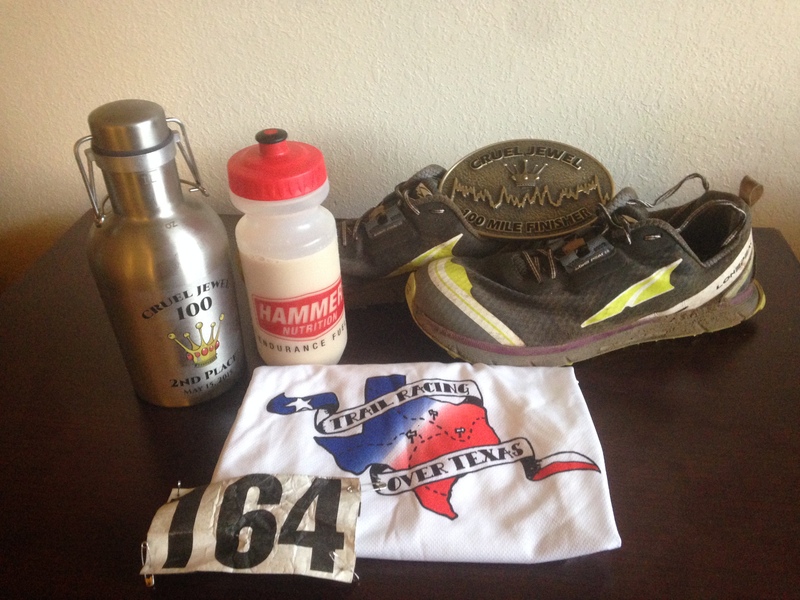 I had been able to drink well the first 20 miles but I was under on calories and the stomach cramps were starting. Typically I have an iron stomach and have not had to deal nausea. I drank my normal Hammer Heed/Perpetuem mix and went off down the trail hoping it would pass. The climbs got less steep after exiting the DRT trail, but just like on the DRT there were multiple fallen trees to climb over (some of which had been there for years). Luckily the trail was well marked so it was easy to know that I need to go over the trees. The road section was much longer than I expected and I kept thinking I had missed a turn. Luckily there were other runners around so I was reassured I going the right way and had not missed the turn off. As I finished the road section as it was getting dark. I was hoping with the sun going down and the temps cooling down my stomach would settle and I could get rid of the nauseous feeling and begin eating normal again, no such luck. head lamp and ate half a grilled cheese (first real food available on course). Leaving the turn-around I thought I was starting to feel better, but that was short lived. About a mile from the turn-around I realized I had forgotten to put new batteries in the headlamp I had grabbed and the light was fading very quickly. I did have a spare head lamp but I knew it would not make it the 6 hours to sunrise and it was really dark on the trail. 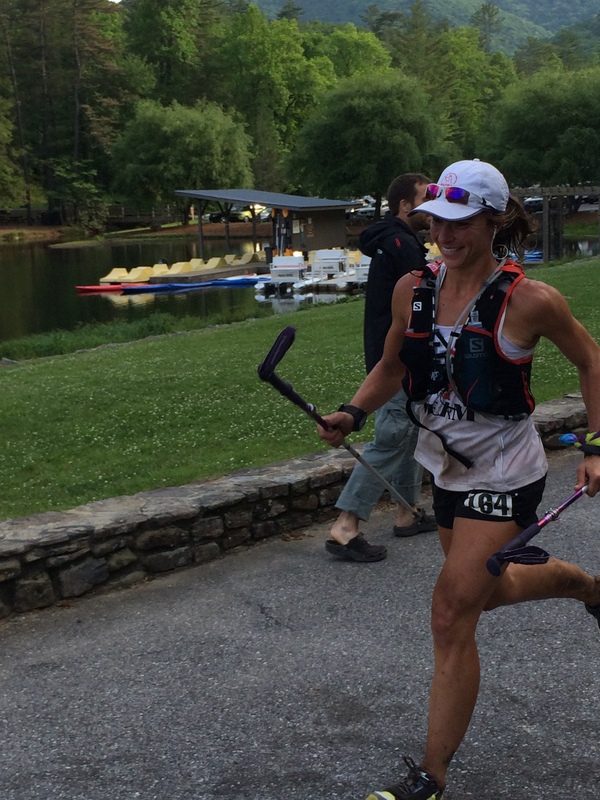 Luckily the amazing volunteers at the Deep Gap aid station had four spare batteries I was able to use. 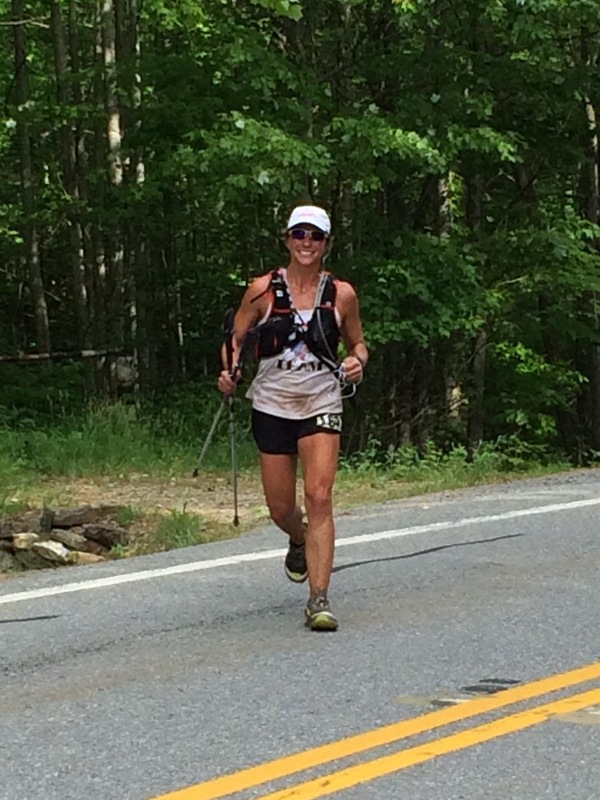 During the Deep Gap loop I was feeling worse and worse, I tried eating but became incredibly nauseous every time. I was trying to make myself run but it wasn’t happening, at least not at a very good pace. Towards the end of this loop I ran into Omar Rogel (5th place male finisher). I am very thankful to have ran into Omar, not only did he have some gin gins, that he offer me but he stuck with me the rest of the night, keeping me company and encouraging me. 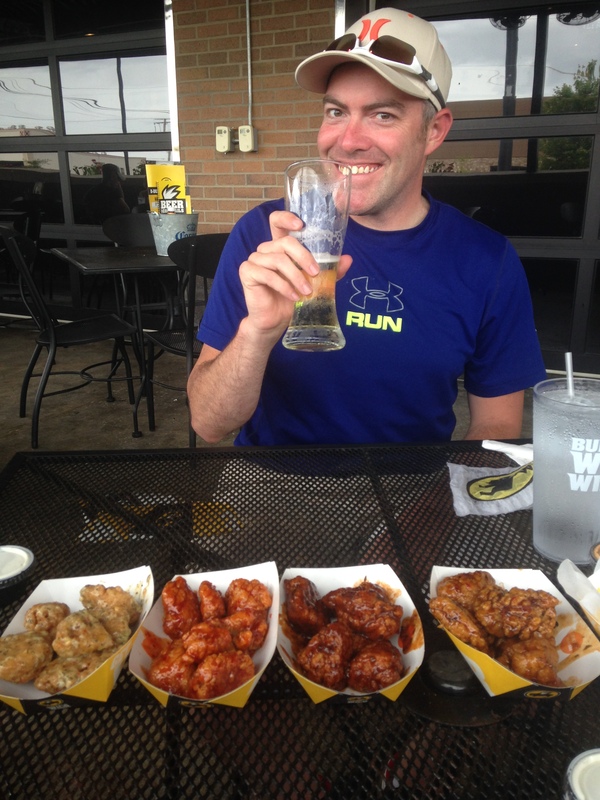 I was starting to feel less nauseous but was so far behind on calories that I had no energy. The 3.5 mile climb out of Weaver Creek seemed to last a life time, but it did finally end, about 45 minutes before sunrise. To make sure we were both awake after the Weaver Creek climb the trails gods placed a copperhead right in the middle of the trail. He quickly got flicked off the trail with a trekking pole and we continued on down the trail. 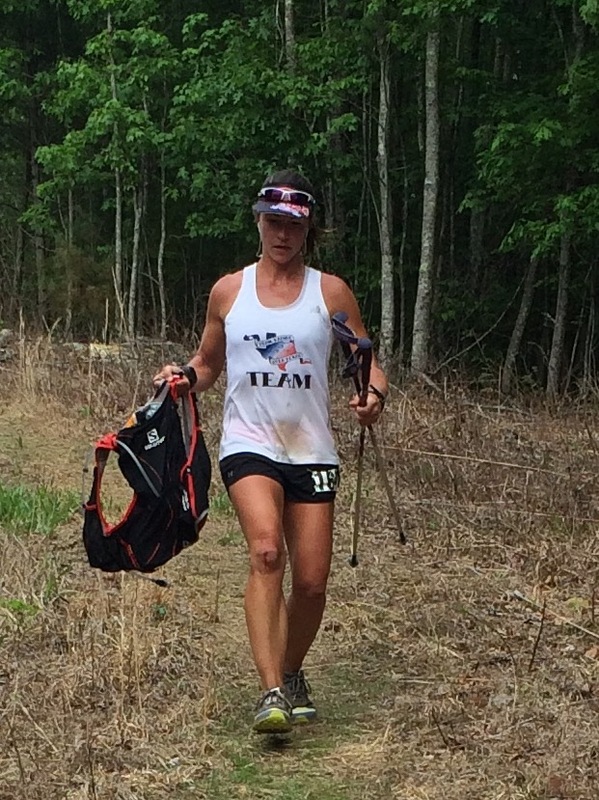 When we dropped into the next aid station I was feeling like I could eat again, without getting nauseous, and was starting to have some life back in me. lower and was accompanied with light breeze Saturday. 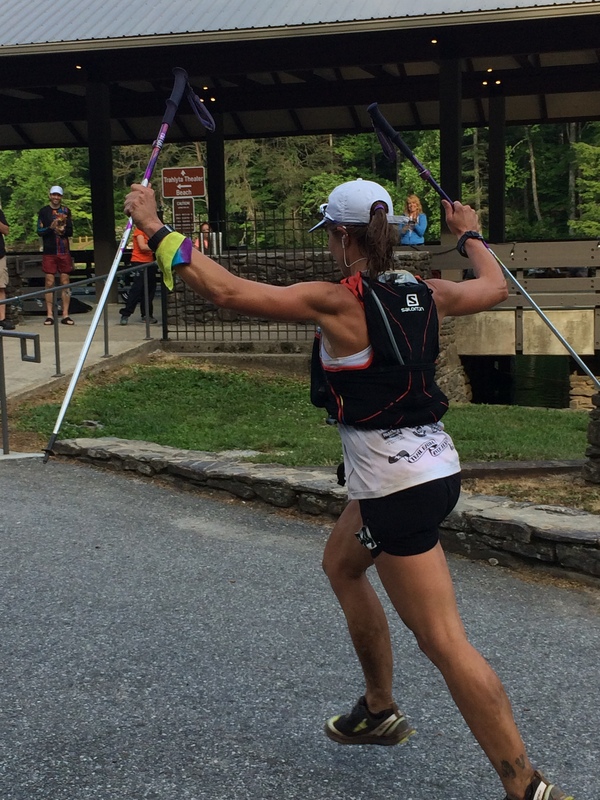 I was able to get close to back on track for my goal finish time, of 30 hours, the last 30 miles (including a 7:30 mile at the finish). 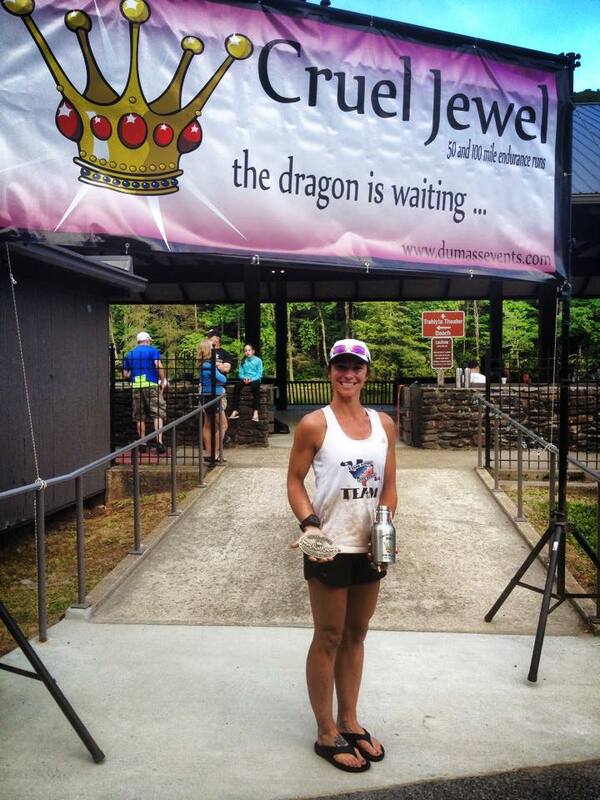 My 30 hour 20 min finished earned me 2nd female and 9th overall finish for the Cruel Jewel 2015 100 mile race. my stomach was mad at me most of the race my Hammer Heed/Perpetuem mix gave me enough calories to be able to keep going and was kind enough to my stomach that it didn’t reject it and puke it back up. My Garmin lost signal several times and had to be charged during a 5 mile segment. The data on my Garmin at the conclusion of the race showed 98.86 miles, 28H 53M (I know I ran 30H 20M), 32,949’ ascent and 32,867’ descent. When I started the race I thought 33,000’ ascent was an exaggeration, I believe now it is possible the course is closer to 35,000’. 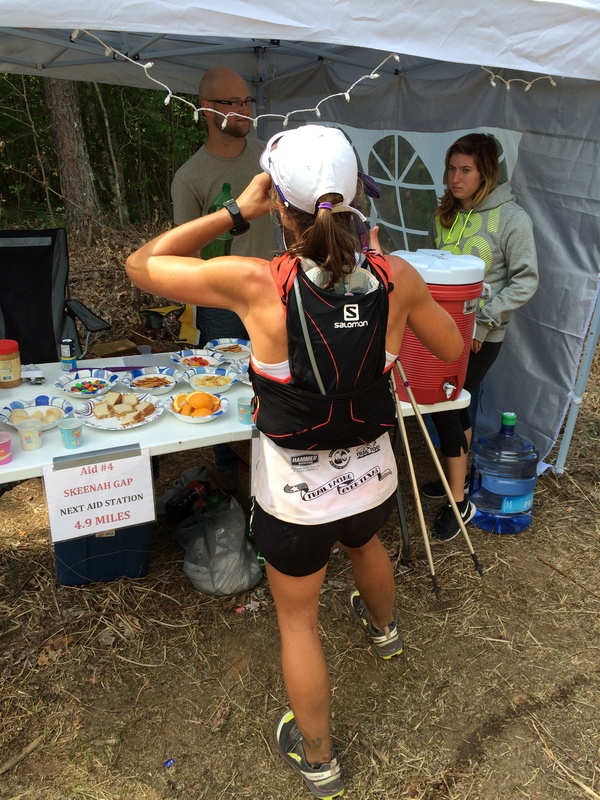 the aid stations very efficiently and had everything ready for me when I got there. Most of all he gave me a friendly face to look forward to seeing. That looks like an amazing race. Good job!! !